#FeelingsTalk with Bachelor Nation | ya, we're basic. Well you guys, it’s my favorite podcast episode of the year. 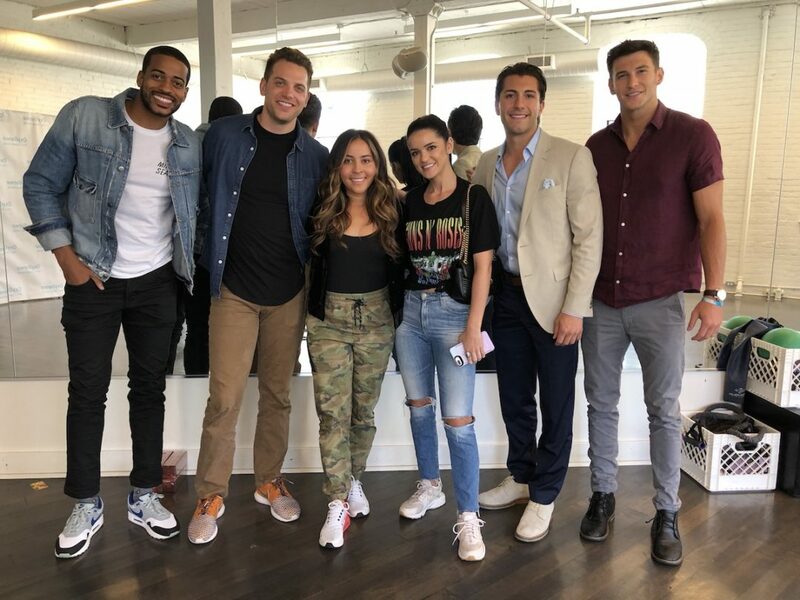 When the Bachelor babes come to town, they come to PLAY and I am truly grateful that I get to sit down with such a down to earth, funny and relatable group of guests. + Is Jordan ready to put on his gold undies once again? Will he ever be? + Raven shares her thoughts on Colton as the new Bachelor…it is brief. + We get deep with #feelingstalk, find out who’s still single, ready to mingle and Eric finally explains what Moving with the Cheese is to me and where I can move to snag some cheesy merch. + Also we get a guys’ and girls’ perspective on the rules of dating, who should text after a first date and answer more of your listener questions. This is always a fun one and thanks again to the team at Duet PR and Eligible Magazine for always including me in a busy day. And thanks to the Bachelor Nation babes who sat down with me – can’t wait to do it again next year. Ok now go enjoy – love you, mean it, BYE.